I’ve literally been looking for a copy of this book for years. Then, last Sunday, one of the elders in my congregation handed me one. I’m looking forward to reading this for several reasons. First, it’s a classic of the Civil Rights Movement. Martin Luther King read it and drew all kinds of inspiration from it. In fact, I can’t help but tell the story of Thurman’s visit to India, where he was granted an audience with Mahatma Gandhi. Gandhi lamented that he didn’t have more opportunity to share his message of nonviolence with America, but he also prophesied that a member of the African American community would one day arise and do so. Shall we say that Gandhi foretold to Howard Thurman the ministry of Martin Luther King? The second reason why I am excited about this book is because of Thurman’s focus on the person of Jesus. This year, as I have been struggling to work out for myself what a post-evangelical and liberal faith looks like, the Christological question looms large. I don’t want to be an unfaithful friend to Jesus, but any relationship we have must be our own, not dictated or categorized by strict adherence to literal interpretations of creeds and formulae. I find myself drawn to the motto of the Unitarian Universalist Christian Fellowship: “Freely Following Jesus.” Something about that rings true to what I’m trying to do. The final reason why I am excited to finally get my hands on a copy of this book is closely related to the previous reason. I wonder if God might be currently working in my life to redeem my experience of Protestantism (particularly in its Baptist expressions). Through individual voices like Thurman, King, and Harry Emerson Fosdick and through churches like Wedgewood and Binkley Baptist, I am coming to see a different side of the Baptist tradition than the legalistic fundamentalism I experienced at Cresset Christian Academy. I’m hearing, perhaps for the first time, the voice of freedom in their politics and theology. It’s an inspiring vision. I had a shocking thought the other day: I might even one day consider taking a call from a Baptist congregation (provided that it was more like “Howard Thurman” Baptist than “Jerry Falwell” Baptist). 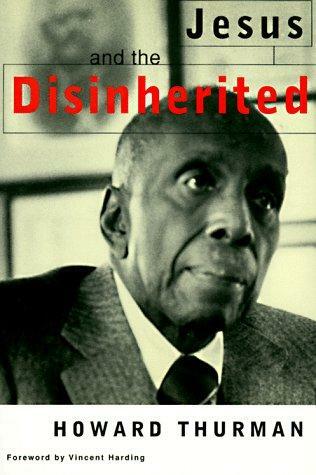 At the brink of the Civil Rights Movement, pastor and writer Howard Thurman released the book Jesus and the Disinherited. Prevalent then and now, the book provides a foundation of reasoning for the need for non-violent movements to fight the oppressive systems that exist. Thurman’s book focuses primarily on the disinherited state of African-Americans at that time in the United States, where segregation was the norm, Jim Crow laws existed, and people’s rights were being disregarded.